One day I'll make it to all of the ramen shops in Nishinakajima. 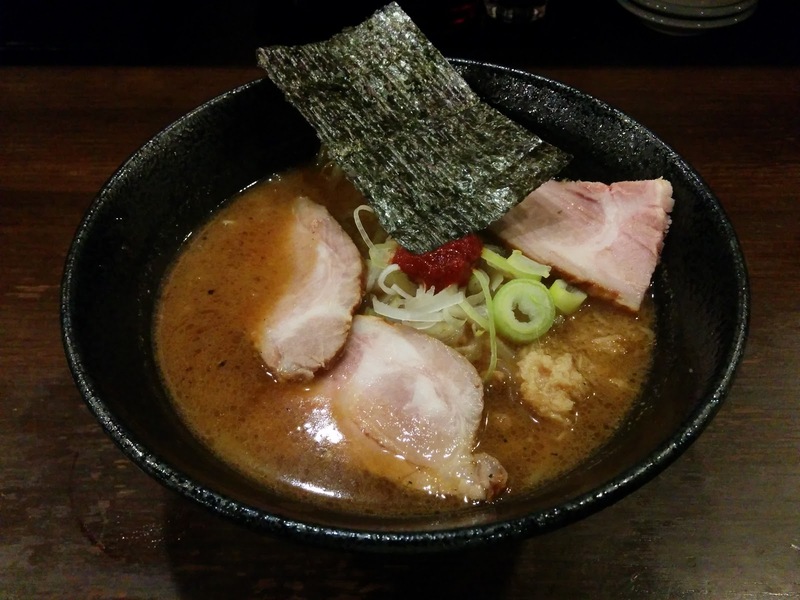 Today I made my way to Ramen Jin, a shop with a variety of options that specializes in my favorite style: miso. 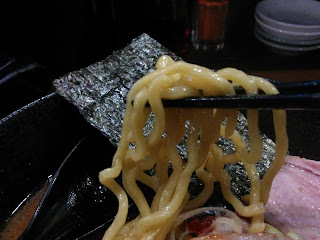 I ordered their recommendation for first timers, Miso no Gyakushu. Wafts of miso and ginger came my way as the bowl was placed in front of me. The sharp miso in the oily broth was a blend of Hokkaido, Shinshu, and Kyoto miso. The noodles were robust, and curly, the kind I like to see in a bowl like this. The chashu on the other hand was tough, and only saved by the fact that it was covered in tasty soup. Overall this was a fine bowl, but not one I see myself making a return trip to. I would recommend this place except to those in Nishinakajima looking for that miso fix.